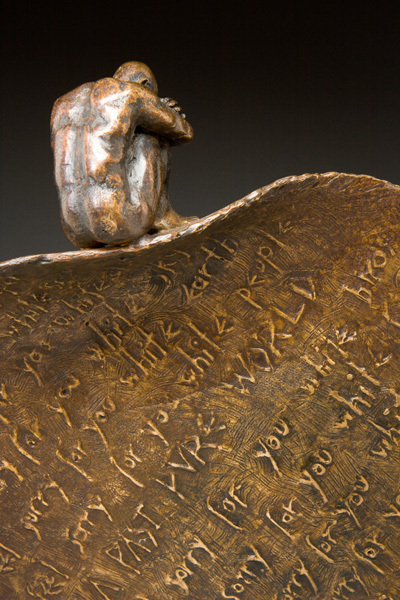 This sculpture was inspired by the following poem. I feel sorry for you white paper. I feel sorry for you white snow. I feel sorry for you white clouds. I feel sorry for you white sky. I feel sorry for you white earth. I feel sorry for you white people. I feel sorry for you white birds. I feel sorry for you white fish. I feel sorry for you white grass.